Wish to stay close to natural settings while your stay at Almora the take a halt at Kalmatia Sangam Himalaya Resort and enrich your travel. It is a beautiful hotel that is positioned in the amazing natural settings and doles out pleasing and amazing view to snow laden Himalayan ranges in Almora. The hotel brings best scenic views of nature to one’s bed side. In the vicinity to lush green mountains, the hotel renders captivating and heart-throbbing views to individuals. The hotel has well-organized cottages that offer unique design and features that intend to meet needs and expectations of discerning travellers. It includes some of the most exclusive and amazing accommodation facilities. Right from the architecture to cuisine, everything at Kalmatia Sangam is simply mesmerizing and adds to one’s travelling experience. 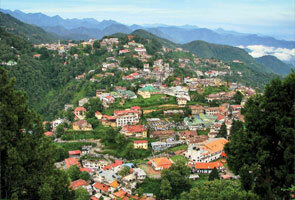 In the midst of Kumaon region, the hotel is located 7kms above Almora en-route to Binsar Natural Sanctuary. 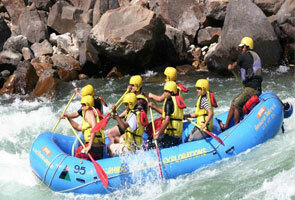 It is situated in the Almora district of Indian State, Uttarakhand. One can find range room facilities as per their budget. The rooms are named after famous bird species that are found in the region. 1.Owl- The room offers pleasing views to Mother Nature and is located at ground floors that are good people of elderly age. 2. Eagle’s Nest- These rooms are designed to offer most pleasing views to Himalayas and is the largest cottage of the resort. 3. Himalayan Magpie- The room is especially for newly-weds and is made of stone that offers perfect cozy and comfortable ambience. 4. Rose Finch and Gold Finch- These two cottages are positioned adjacent to each other and are perfect for single occupancy but even couples can stay here comfortably. 5. Pheasant and Patridge - The cottages are built on two levels that share the balcony. Pheasant is built on the east that unfolds beautiful sunrise each morning. 6. Scarlet Minivet- It is the only cottage that faces the south side and doles out pleasing views during evening when entire Almora lits up with lights. 7. Hoopoe and Cuckoo- These two cottages are built over each other. The cottage of Hoopoe has two cedar pillars that bifurcates the sleeping and the living area. Both the cottages have different entrances and offer pleasing views to nature. Sangam offer amazing multi-cuisine food to travellers. It produces world class cuisine that is made from home grown spices. Some of the cusines encompassed are Mexican, European and Indian. The restaurant also displays the art work of famous foreign artists that is truly adorable and adds up to dining experiences here. 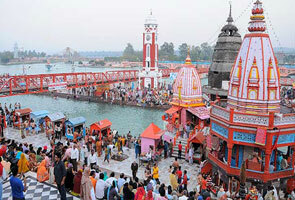 In order to arrive Almora via air the closest airport facility is at Pantnagar that is situated at a distance of 134 kms. 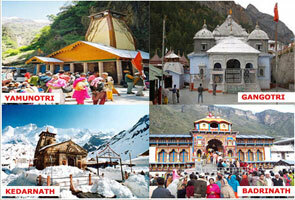 In addition nearest railway facility is Kathgodam station that is 97kms before Kalmatia Resort. In order to arrive at the Resort via road one can take up motorable roads with major town and cities of North India as in Delhi that is 390 kms away, Kausani is 60kms, Nainital is 74kms, Mukteshwar is 50kms and Corbett is 135 kms from Kalmatia resort. One can easily take Taxis, jeeps and buses to the hotel.